In the thriving city of Toronto we have over 2,400 laneways in our residential neighborhoods that constitute a second network of pathways running parallel to our main roads. The City of Toronto has finally approved the building of a dwelling on the laneway side of residential lots, allowing for a varied strategy for densification in our city- beyond the condo tower or the suburban subdivision. Now homeowners who own lots that back onto laneways and follow the city’s guidelines have the ability to build a second dwelling on their property. Laneways are the new frontier of urban landscape and real estate. Laneway architecture will bring safety, vitality, and green areas to these presently under-utilised urban areas. Neglected back alleys will be the next community spaces. Firma specializes in Toronto laneway homes and we can guide you through the entire process of creating a dream residence located on your laneway. 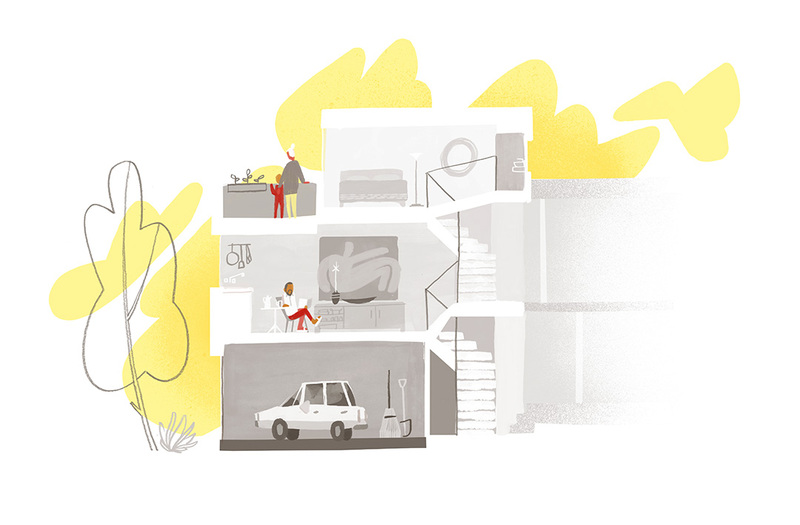 Whether you want to build an income dwelling, a space for multi-generational living or a studio for work, we can help. 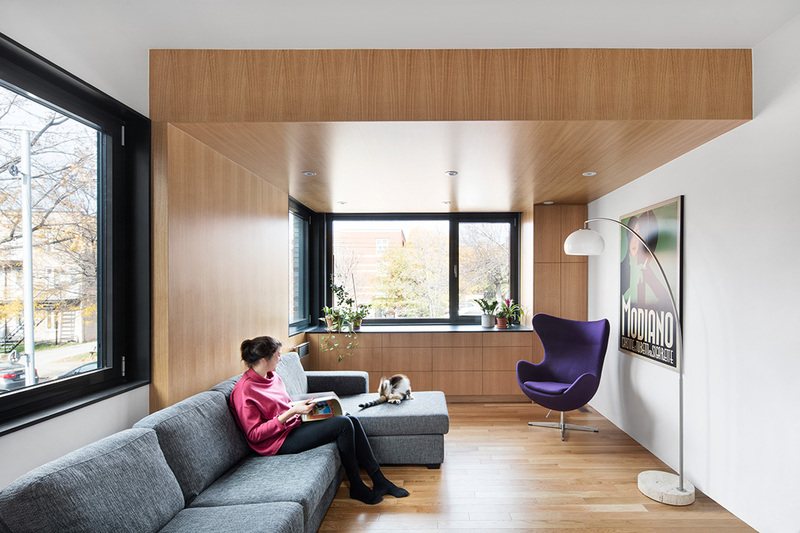 Great contemporary laneway home design depends on the mastery of compact spaces and an intimate understanding of the particularities of laneway conditions. We use a durable shell on the outside to provide security in laneways, and an open modernism on the inside to amplify living area. We treat your laneway home with the same care and precision as our high end luxury residences. Schematic design: Based on your needs and your site, Firma establishes a spatial design for your laneway home. We create architectural floor plans and 3d visualizations that give you a sense of the functionality and look of your building. Design development: Firma creates the necessary documents to apply for zoning approvals for your laneway home. We also coordinate the required engineers and additional consultants. Contract documents: Firma creates the application for the building permit for your laneway home. We also create visualizations, for your approval, of the interior and exterior material palettes for your laneway residence. We create a detailed set of contractual documents (drawings and specifications) that serve as the contract for construction. We make sure that your building is detailed to our high quality design standards. Contract administration: We oversee the construction phase to ensure that the contractor is building according to the architectural contract documents. We do site visits at key moments of construction and issue site reports to the contractor and to you. Our work ends once you have keys in hand. Firma often works simply to fulfill the traditional architect's role, as described above. Beyond this, we offer a design-build formula for laneway homes in Toronto. Design-build means that we provide a single source for your whole project. Our general contractor partner, who will execute the build of your laneway home, is introduced in the beginning stage of the project. The benefits of using our design-build process include: early clarity on budget, faster build time, cost-efficiency, greater risk management, and less time spent making decisions for you. To get more information about our design-build formula, contact us here. Restrained site conditions often inspire moments of architectural genius and result in completely unique and memorable spaces.